Location: All PROTON showroom nationwide. 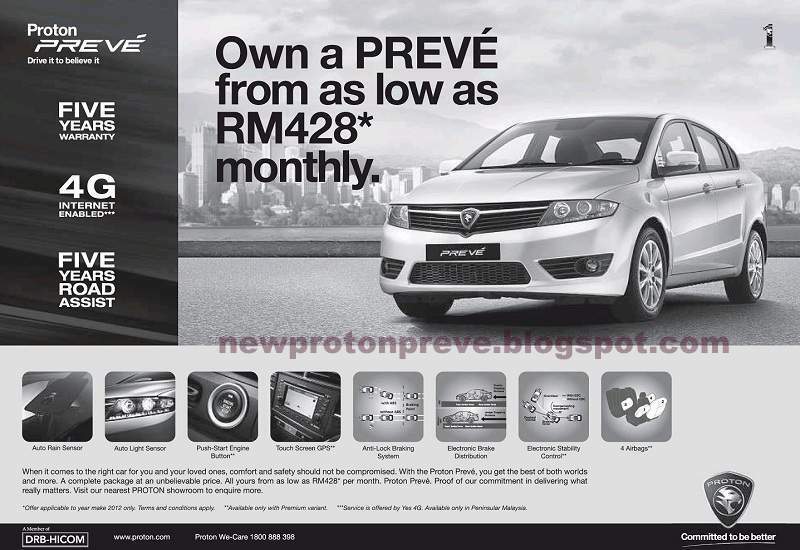 A complete Proton Prevé package at an unbelievable price. All yours from as low as RM428* per month. * offer applicable to year make 2012 only. Terms & conditions apply. *** service is offered by Yes 4G. Available only in Peninsular Malaysia. Visit the nearest PROTON showroom to enquire more.